This Facebook fundraiser initiated by California horsewoman Sami Gros is grassroots-meets-digital-age mobilization at its finest. Sami and others are working around the clock to locate, transport and care for horses and horse people in devastated areas. She knows what these horsemen need because she's beside them in the thick of disaster, and she pledges that every dime raised will be put toward the immediate needs of these animals and their caretakers who have lost everything. Devon Maitozo, WEG team coach and the most decorated vaulter in U.S. history, is working to help other horsemen even as the safety of his renowned vaulting center in Thousand Oaks remains in question. 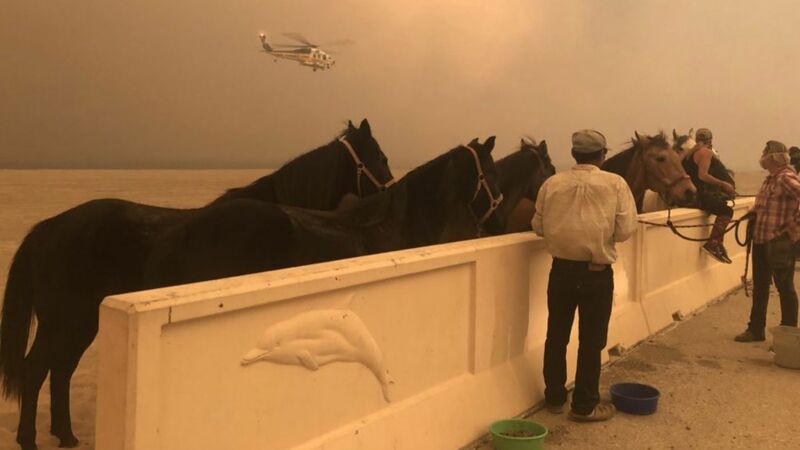 Donations to Devon's Facebook fundraiser will help provide feed to displaced horses and veterinary care to those injured by fire and smoke. One hundred percent of the your tax-deductible donation will go to the North Valley Animal Disaster Group, U.C. Davis Veterinary Emergency Response Team, and the Humane Society of Ventura County. US Equestrian will be working through the USEF Disaster Relief Fund with these organizations and others over the coming weeks to support the ongoing rescue and rehabilitation efforts throughout the state of California.